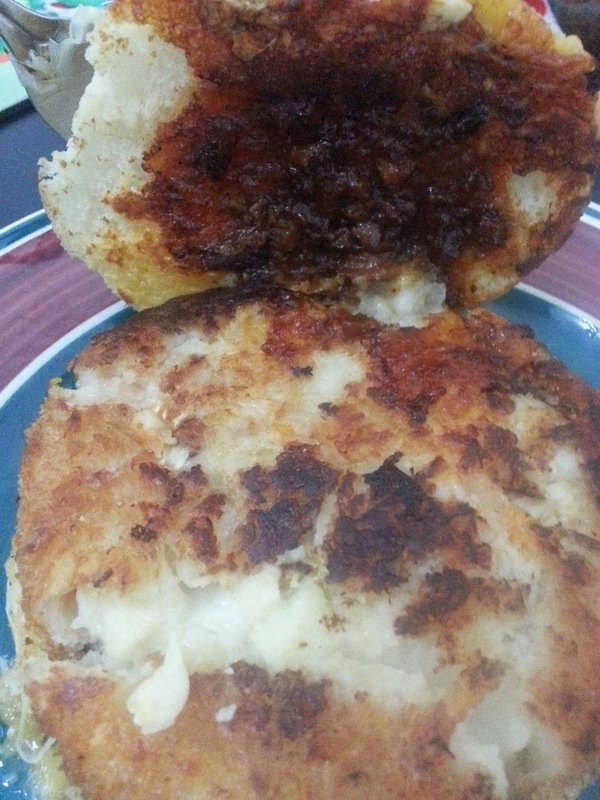 If you stumbled upon this review without reading my original Gracoro Burger review, you should go back and read that first, as this Demi-Glace variant of the Gracoro Burger used the same Macaroni and Cream filled patty as the original. What made this burger different from the original was the inclusion of a slice of cheese, and a beef demi-glace sauce. 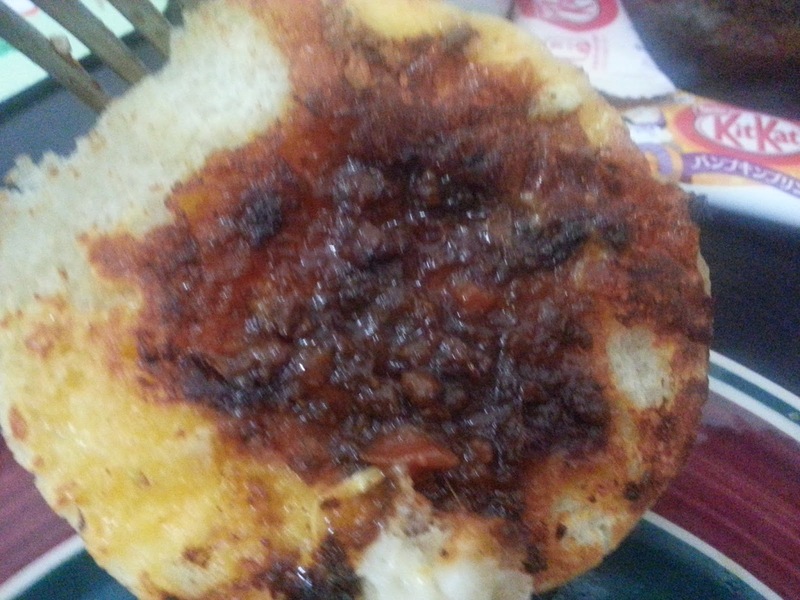 Not exactly sure how the idea was to serve a macaroni+shrimp+cream patty with a beef sauce came about, but this has to be one of the stranger toppings I've had on a burger. 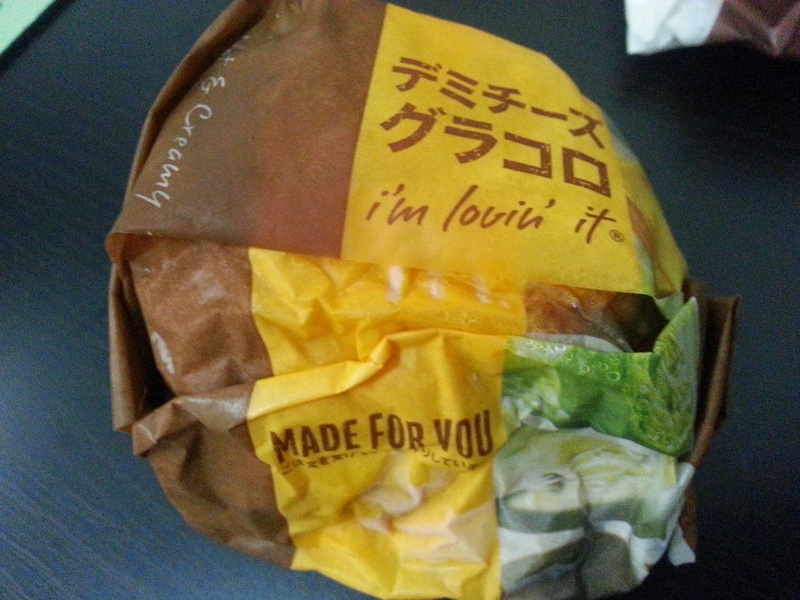 This also isn't the first time the Demi-Glace Gracoro Burger has been available in Japan. 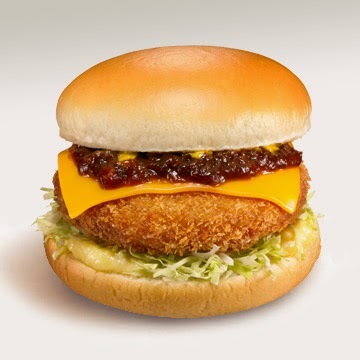 Although the original Gracoro Burger has appeared in McDonald's since 1993, the first release of the Demi-Glace variant first appeared in 2013 and apparently sold so well they brought it back for another year. 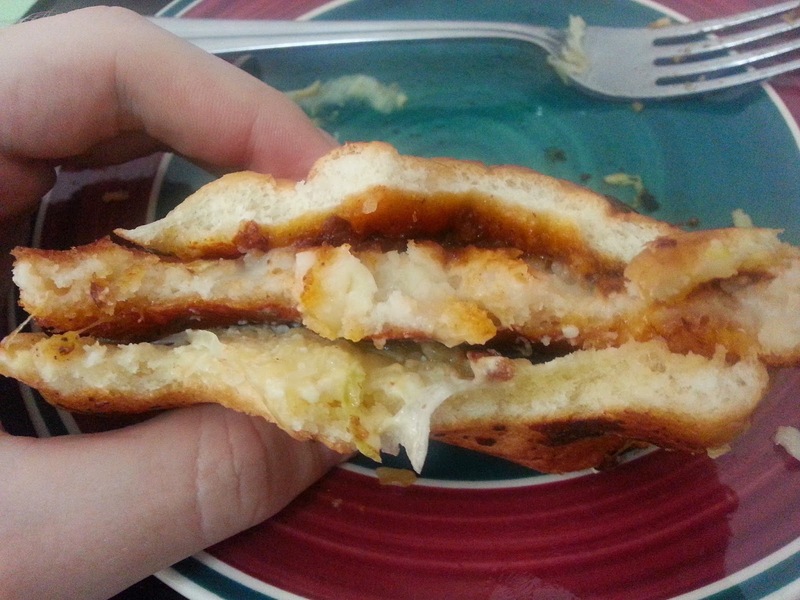 Since the patty was identical to the standard burger, I'll dive straight into the special sauce. I didn't know what I was expecting, but my initial impression was that this was one of the uglier sauces I've had on a burger. Unfortunately most of my photos are out of focus, but this was a dark, almost black sauce, which had small lumps of beef hidden within. It also had a off-putting smell, which smelt vaguely alcoholic. 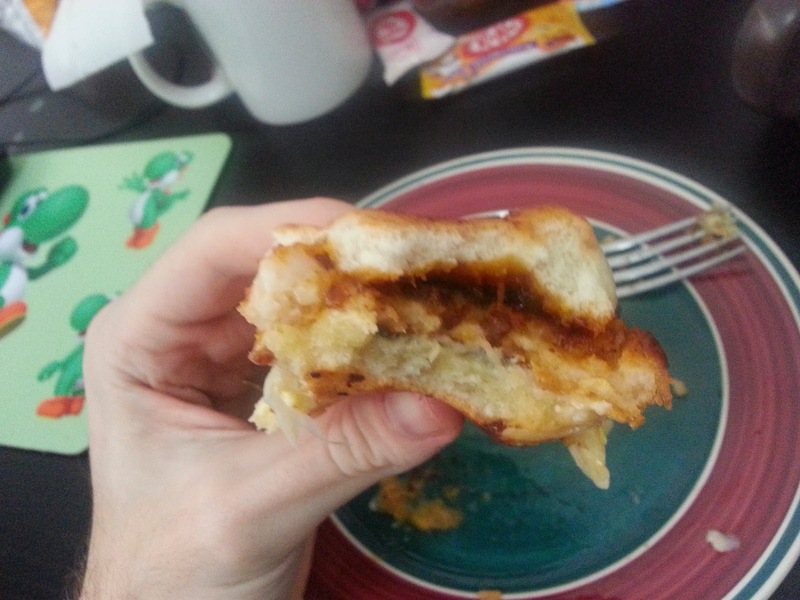 Although the photos don't really show it very well, there was quite a bit of this sauce on the bun, it was at least 1/2 a centimetre thick. Before I move on to the taste, I should say that I ate this burger on the same day that I tried the standard Gracoro (they were both flown in from Japan for me). I felt that the standard was good, but something was missing to make it great, which mean't I had high hopes for this variant. During my initial taste, the biggest difference between this and the original was the cheese. Since the cheese was on the bottom (and closest to your tongne) I tasted that first. Then the sauce hit me. Ugh. For the past week, whenever I see salt, soy sauce, or anything else salty, it makes me think of that sauce. This was hands down one of the saltiest sauces I've ever had on a McDonald's burger. This was so salty it couldn't even be hid by the cream in the patty or the slice of cheese they added. 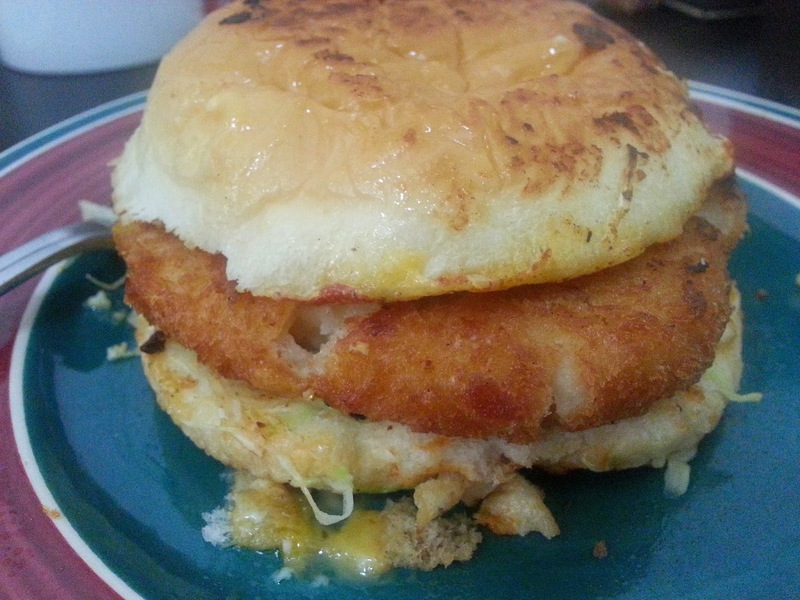 It also did nothing to add to the decent flavour of the patty, if anything, it definitely distracted from it. I tried eating a small piece of beef from within the sauce, and it didn't seem to be any saltier than the rest, so I believe it was from the sauce itself and not the meat. Both my wife and I enjoyed the original, but did not like this variant at all. 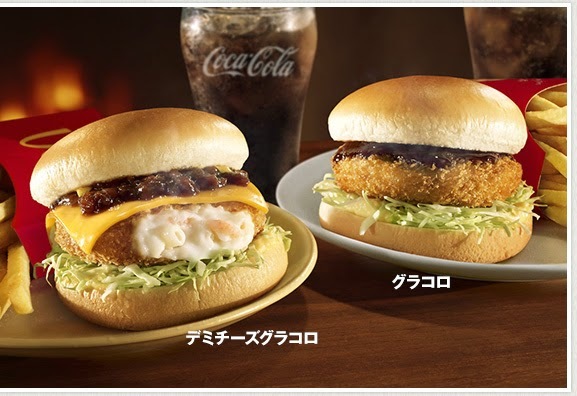 I took a look at McDonald's Japan official website, and they state that there is a 600mg difference in sodium between the two burgers, which although is quite a bit, isn't all that much for fast food, so I really don't know how this sauce ended up being so overly salty. Whereas we completely finished the original, about 1/2 this (already small) burger ended up in the trash.